With October here and fall colors just starting, why not hit the Great River Road, U.S. 18, Highway 35 or Highway 60 to visit of the most beautiful – and oldest – state parks in Wisconsin? The park lies in the midst of the “Driftless Region,” named so because the glaciers that flattened much of the state thousands of years ago went around this area. The resulting bluffs, valleys, coulees, and hollows make for some of the most beautiful landscapes and views you’ll find in the Midwest. 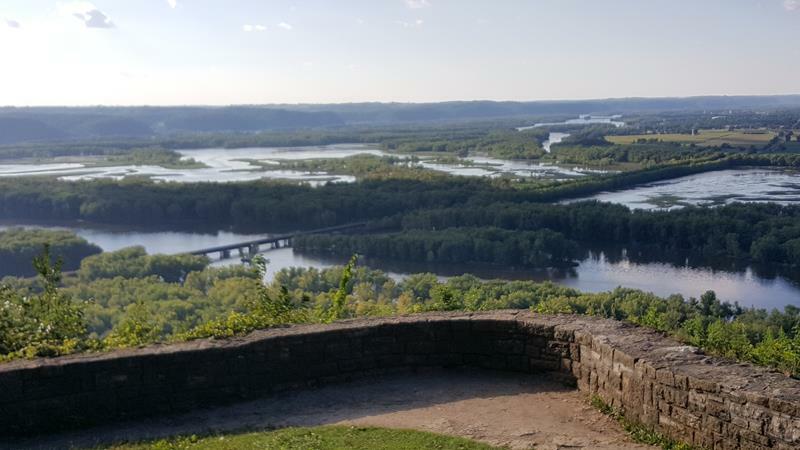 The park offers expansive views from nearly 600 feet above the junction of the Wisconsin and Mississippi Rivers, with Prairie du Chien visible just to the north and McGregor, Iowa also notable across the Mississippi. A key piece of Wisconsin history lies in the fact that Father Jacques Marquette and Louis Jolliet were the first Europeans to paddle down the Wisconsin River (via the Fox River and Lake Michigan, no less), past the site of Wyalusing and into the Mississippi River back in 1673… which helped to eventually give rise to the early settlement that became today’s Prairie du Chien. Wyalusing State Park not only offers beautiful overlooks, but 2,700 acres of recreation, relaxation, and history. Ancient Native American burial mounds are located throughout the park, as is a memorial to the passenger pigeon – a once-plentiful bird that became extinct by 1912. 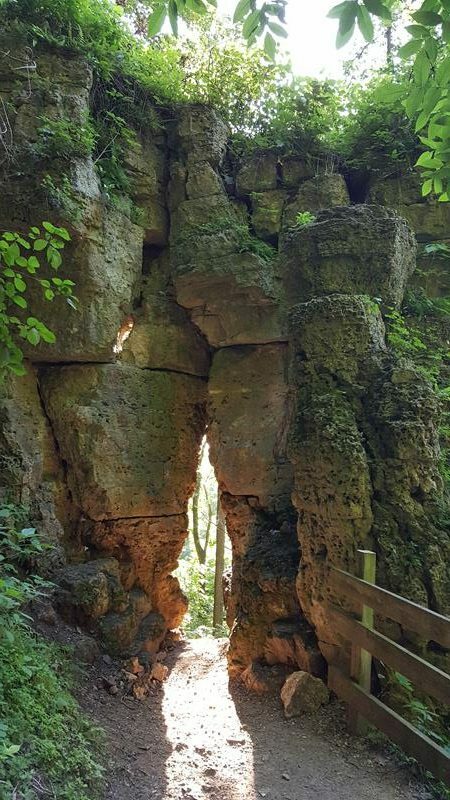 Explorers and fun-seekers can check out 14 miles of hiking trails which run on high and low ground throughout the park; they also have access to a few caves and several very scenic overlooks. There are also two mountain biking trails, a boat launch on the Mississippi, picnic areas and playgrounds, and areas for fishing, hunting, and cross-country skiing. Campgrounds are plentiful and the Bluff Top Concession Stand offers refreshments, supplies, ice, firewood, even kayak and canoe rentals during the summer and early fall seasons. For star gazers, you can enjoy the natural view outdoors or get even closer at the Huser Astronomy Center, which opened in 2003 and offers free programs for the public. Today’s Visitor Center greets you at the park’s entrance, where you pay your entry fee and can get information. The original park office lies further in and today offers some park history, including early work by the CCC (Civilian Conservation Corps) to further develop the park during its second decade in operation. 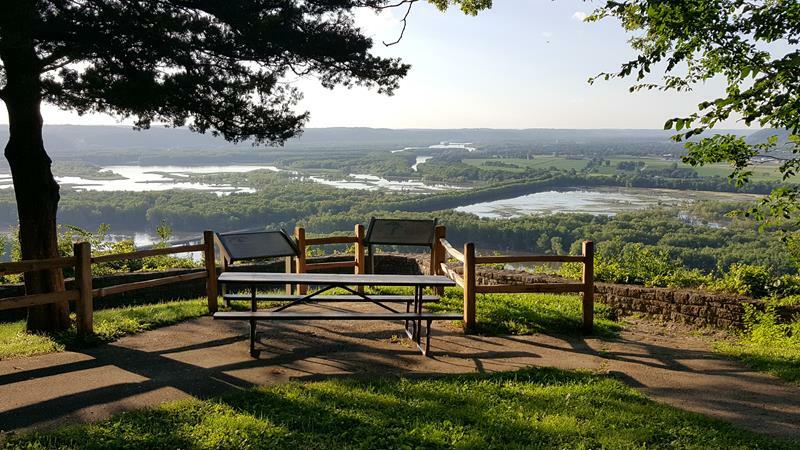 Any tour of Wyalusing is bound to delight your senses, teach you some history, wrap you in nature, and serve as a wonderful getaway road trip. 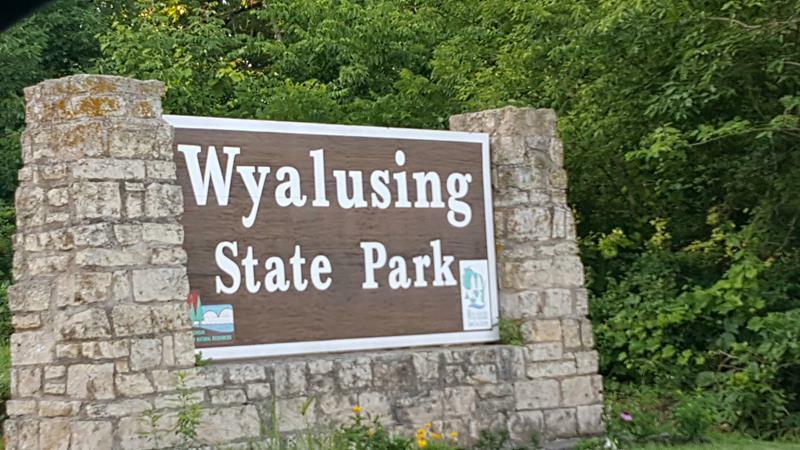 You’ll find Wyalusing State Park in the northwest corner of Grant County, a few miles south of Prairie du Chien off U.S. 18/Highway 35 via County Roads C and X, which also serve as the Great River Road in this area. Highway 60 is also just to the north, across the Wisconsin River. Find out more about Wyalusing State Park here.